This year's Super Bowl isn't just about football. On Tuesday morning, E! News confirmed that Maroon 5, the NFL and Interscope Records made a $500,000 donation to Big Brothers Big Sisters of America ahead of Sunday's big game. 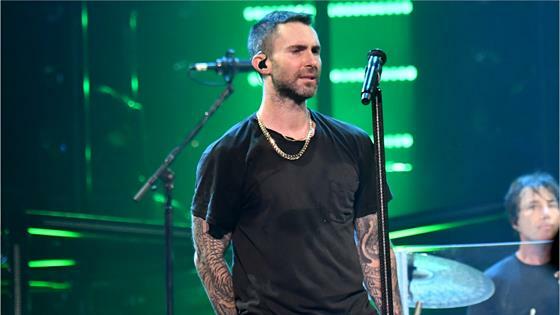 "Playing the Super Bowl has been a dream of our band for a long time," Adam Levine shared in a statement to E! News. "We thank the NFL for the opportunity and also to them, along with Interscope Records, for making this donation to Big Brothers Big Sisters, which will have a major impact for children across the country." Big Brothers Big Sisters of America helps children realize their potential and build their futures. According to the non-profit's President and CEO, the donation will absolutely make a big difference. "We believe that all of our nation's youth need someone who believes in their potential, and we are so honored that the NFL, Interscope Records, and Maroon 5 are supporting Big Brothers Big Sisters of America in our important mission," Pam Iorio shared with E! News. As the Los Angeles Rams and New England Patriots face-off Sunday afternoon at Mercedes-Benz Stadium in Atlanta, many pop culture fans are also looking forward to the Pepsi halftime show. Maroon 5 will take the stage alongside special guests Travis Scott and Big Boi. And while details about the gig are being kept top-secret, we have a feeling Adam and the guys will have some surprises.